Compressed air is an indispensable source of operating and processing power in all areas of industrial and technical production. The compressed air is generated by raising the pressure of large volumes of ambient air. Usually this air contains harmful substances, such as dirt particles and moisture in the form of water vapour. The water vapour condenses and can lead to operational breakdowns and considerable but avoidable costs. To prevent production downtimes compressed air must be clean, dry and oil-free. 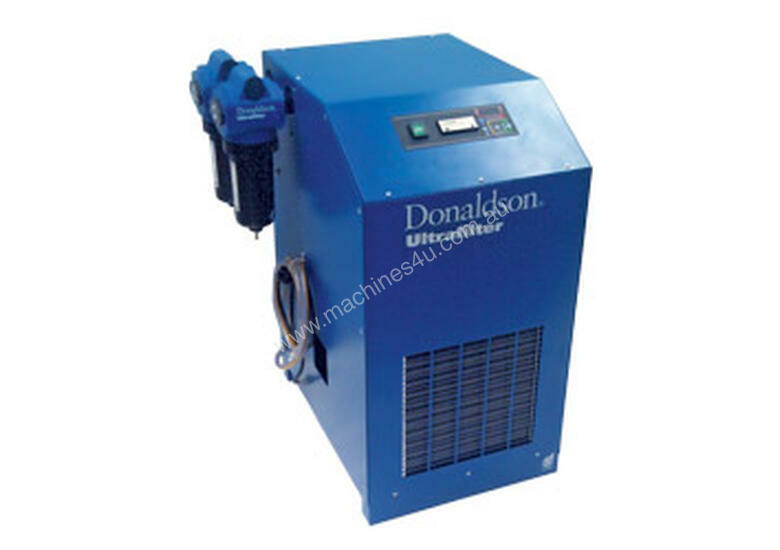 Donaldson's range of Buran Refrigeration Dryer and DF Filter Packages for compressed air and process filtration industries providing lower operating costs in a compact and user-friendly package.